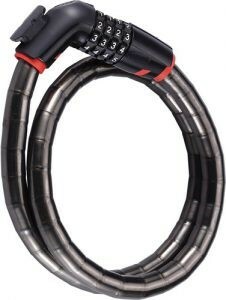 There are three main types of bike lock – Cable, Chain and D-lock. This short guide will tell you the advantages and disadvantages of each. 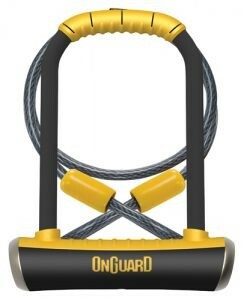 A good bike lock is your first, and strongest line of defence against having your bike stolen. To cater for everyone’s needs, we have a huge choice of bike locks available, but what are the pros and cons of each? Big, tough and can be looped around virtually any bike. The sight alone of their heavyweight padlocks and thick links is enough to deter many would-be thieves. 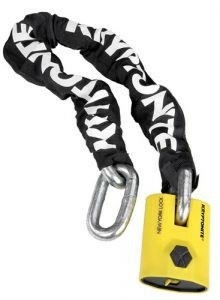 A solid metal shackle with a removable cross bar, which you loop around your frame and a suitable metal railing or post. They’re also often accompanied with a cable to loop through your quick release wheels.